Published by Mountainblog on 02/07/2019 . 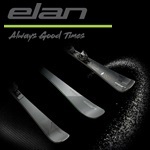 Elan, handcrafted skis 100% made in the Alps for over 70 years, is known for designing the highest level of innovation and performance from its asymmetrical Amphibio technology. In the 2019/2020 ski collection, Elan takes on the 3rd generation of Amphibio Technology to the next level with Amphibio Truline Technology by strategically locating materials over the edges of the skis for the perfect turn. Designed for the perfect turn with efficient dynamics and optimal tip to tail edge pressure, structural material is place over the full length of the inside ski edge, providing more stability to power the turn- while less materials is applied over the outside edge, resulting in a smooth, easy and powerful turn. 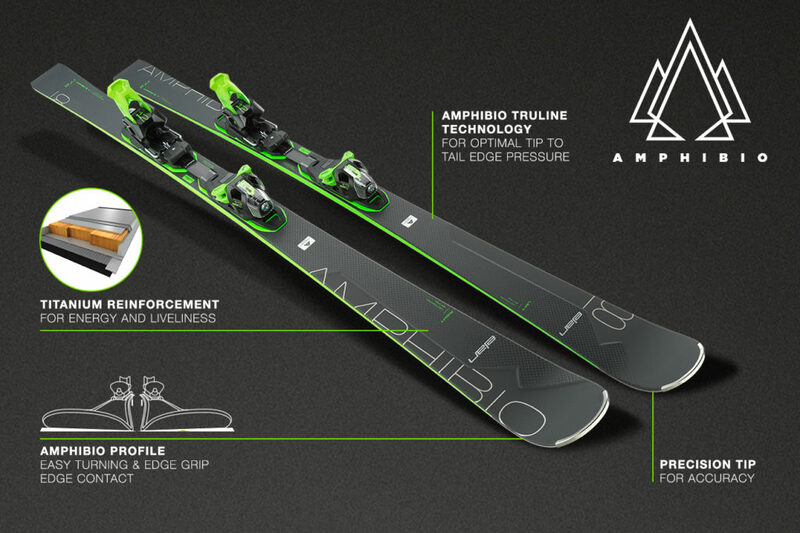 Skis with Amphibio are the choice ski for all –mountain skiers with ultimate precision and accuracy. The innovative Amphibio Truline Technology is the perfect pair to Elan’s next generation of high performance binding systems, the Fusion X. The new single connection design is 30% lighter but even stronger with a titanium-enforced pyramidal-shaped construction that enables a smoother free flex between the ski and binding for easy turn initiation. “Skiing at higher speeds in all-mountain conditions have never been more accurate with Elan’s Amphibio Truline Technology and the new Fusion X binding system. This award winning combination makes Amphibio range the ultimate choice for the slopes,” says Melanja Šober, head of product management for Elan’s winter division. Elan introduces a fresh take on all-mountain skiing with the new Wingman series. Bridging two categories, the Wingman is designed to fulfill the needs of skiers between two categories, Elan’s all-mountain (Amphibio) and freeride (Ripstick), for a ski collection with the best of both worlds. Built to enhance the energy of the all-mountain skier in any condition and terrain, the Wingman features the next evolution of Elan’s modern asymmetrical ski design, Amphibio Truline Technology. Influencing the profile and construction of dedicated right and left skis to make the perfect turn, the Wingman series uses modern lightweight technology where structural material is placed over the full length of the inside ski edge, providing more stability to power the turn- while less materials is applied over the outside edge to efficiently transfer energy from turn to turn. The Wingman series is comprised of six skis with three different waist widths with varying materials such as carbon rods from the tip to tail along with titanium in the “CTi “models, while the “Ti” features titanium reinforcement. New for 2019/2010 is the Wingman: 86Cti, 86Ti, 82Cti, 82Ti, 78T, 78C. Technology: TruLine Technology, Mono Ti, SST Sidewall, Laminated Woodcore, Carbon Rods.